If you own a startup, chances are, you spend a lot of time relocating. Startups grow fast, and when it comes time to move, you’ll want to save as much money as possible. However, the problem many business owners run into is that they don’t know where to begin. Small expenses add up through the moving process and can result in a much higher end cost. In this blog, we’re going to talk about some of the best ways you can cut costs with your moves. One of the most essential things you can do to save money during a move is to simply plan ahead. Generally speaking, people who plan for things a month or several months in advance are more successful, especially when it comes to a large project like an office relocation. This is even more important as a business owner than it is as an individual because your actions will not only affect you, they’ll affect everyone working at the company. In other words, a poorly organized move won’t just put you behind on your schedule, it will reduce the efficiency of the company as a whole. If you took a quick walk around your office, you’d probably find a couple things that you or your employees don’t necessarily need. It may be an old printer, unused cabinets, or worn-out furniture. But, if these items are just sitting in storage where nobody can use them, you might as well get rid of them. Many business owners who haven’t planned ahead will find themselves in a situation where it’s time to move but they haven’t gotten rid of old junk that they don’t need. That means they’ll need to move them to the new location, then start getting rid of them. But why not get rid of them before you move? Most waste disposal companies out there offer 30-yard rolloff dumpster rentals. You can have one sent straight to your door, then as you move out, you can throw away anything you don’t need. Now is the perfect time to do this because you’re already moving everything out. One thing to keep in mind is that if you believe someone can still get some use out of your used items, try to find a home for them before throwing them in the dumpster. At the end of the day, you’ll have saved a lot of money by not moving things that you don’t need. It’s tempting to have a “take it as it goes” approach when it comes to corporate moves. However, this will almost always lead to financial trouble down the line, especially for small businesses who depend on every cost-cutting technique they can muster. A budget will help you visualize exactly what your goal is and how you can reduce expenditures all across the board. Although your pre-move budget is important, you should also be sure to make a post-move budget. What many people don’t realize is that their moving expenses continue well after their move is actually said and done with. 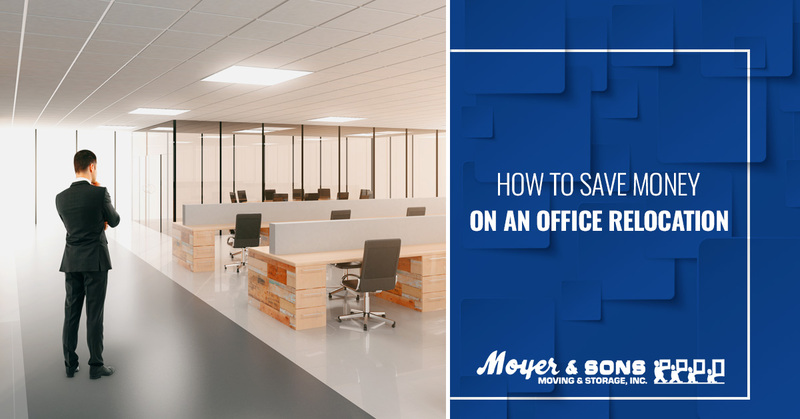 This is because business owners are much more likely to spend recklessly after moving into a new office, especially on things that aren’t needed. If you’re not used to having so much space, it’s better to wait and find something useful to fill the space rather than buying something you’ll regret. This goes for your personal office space as well! Some homeowners and business owners are under the impression that if they avoid calling a moving company, they’ll be able to save money on their move. The problem with this idea is that it doesn’t take into account the scale of the move or the expertise of the movers themselves. Sure, there are plenty of scams out there, even in the moving industry. But, when it comes to hiring an actual reputable moving company, the efficiency and cost-effectiveness will be unmatched. When you’re trying to cut costs on a large-scale corporate move, you don’t need anyone who can lift a box; you need a professional moving company that is trained to transition companies smoothly and efficiently into a new building. If you’re looking for a commercial mover in Clarksburg, Maryland or the surrounding area, look no further than your Top Rated Local® Moving Service Company Moyer & Sons Moving & Storage. We are a full-service moving company that’s been in business for over 40 years and still going strong. Our highest priority is to provide you with everything you need to move seamlessly into your new building and get straight back to growing your company without having to worry about whether you’re driving your company into debt. Contact us today to learn more about our company and services.